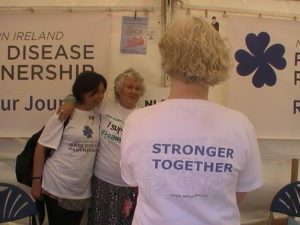 We have recently been awarded funding by the National Lottery through the Big Lottery Fund for a 2 year pilot project, “Stronger Together”, which will work to build capacity within and across the rare disease sector and help to identify development areas for the future. As a result, we currently have an new opening for a part time, home based member of staff, to cover the Southern, South Eastern and Belfast areas. The Project Officer will build up knowledge and support in their areas, linking with health & social care and other voluntary organisations and will be first point of contact for people living and working with rare disease. Previous PostPrevious NIRDP MOVING FORWARD AFTER A SUCCESSFUL RECRUITMENT PROGRAMME!